Well, slow progress to be accurate but progress at least. The family is away for a week or so while some plumbing work is carried out on the house, so theoretically I have a bit more modelling time than usual. I am gluing No. 85’s bodywork together as I don’t have the skill to solder it. A new bottle of gel superglue seems to be doing the trick but for strength I am considering running some epoxy or even a touch of low melt solder inside the joints afterwards to firm it up. 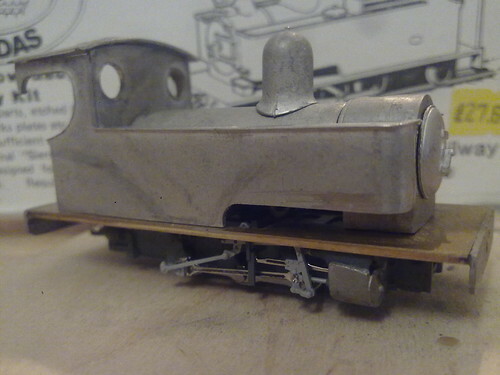 The smokebox door and dome are just posed for now, some of the parts on sprues like these are needing a bit of cutting down to avoid the remains of the Roco body inside the boiler. This entry was posted in 009, hunslet, kits, model railways, narrow gauge. Bookmark the permalink.